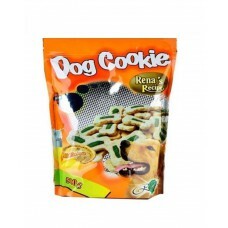 These Dog Cookies are made with only the finest ingredients for best taste and quality. These cookies are enriched with calcium for strong teeth and bones, chlorophyll for fresh breath, and hexameta phosphate to keep your dogs teeth clean and white. Suitable for dogs of all breeds from 2 months onwards.